Today we have a family guest post from Aaron, who is an ultimate lover of movies and always has the funniest things to say about them. I keep telling him that if his current job is not working out, he should be a professional movie and food critic. That way he can take me along for free!! Anyways... here are some reviews of the most recent movies we've seen. Enjoy! Lets start with something that I feel is a must watch. I have always been a fan of Superman since I read the comic books, but unfortunately movies have always been disappointing. All the old movies have always been so cheesy and hokey that a piece of myself always faded away to the empty shell that I am today. Okay lets move on. Finally a Superman movie that succeeds at being epic and serious. We get some back story into Superman but not as much as you would expect from a 3 hour movie. However, what you do get is massive Kryptonian on Kryptonian fighting action that leaves us humans feeling so inadequate that literally all we can do is just stay out of the way. Ladies and gentleman, this is date movie certified. There is enough eye candy in this movie that your girlfriend will forget that you dragged her out to see an alien sci-fi movie instead of taking her shopping. The one downside? Henry Cavill is so nuclear hot that she may just leave you at the end of the movie and buy a one way ticket to LA just to look at him. Fret not guys, Antje Traue who plays Faora-Ul can be your redemption prize. Alright! Lets get to the real guy stuff! This picture sums it all up, people. We have giant robots fighting giant monsters! Is there any real background story? No. Is there compelling character development? Not even close. Will you be discussing the subtle nuances of the human capacity to endure over a candlelit dinner? I think you get the picture. This is a modern day Kaiju movie that has been lovingly brought to life by Guillermo Del Toro. Kaiju from the Japanese language means monster. That big robot you see there is called a Jaeger from the German language. The special effects of the monsters and just the sheer amount of destruction that goes on during the fights will blow your mind. This is what Transformers should would have been if Michael Bay wasn't around. The movie isn't always going to make sense but just let your mind "drift" and enjoy the ride. For more old movie reviews, check out Aaron's previous posts! Have a great week everyone! Oooh I want to see both of those! Such a fun post! I got to catch up on your blog today...yay! I saw both movies with the lovey. We enjoyed watching Superman. We saw Pacific Rim in 3D and it was worth it because of the special effects, but yeah you are right, some parts of the movie didn't make much sense. Ooh I very much enjoyed Aaron's movie reviews :) esp his ratings at the end haha. Going to be watching, Pacific Rim soon & now more excited! I saw Superman already, and it was GREAT. 5/5 would be my score as well. 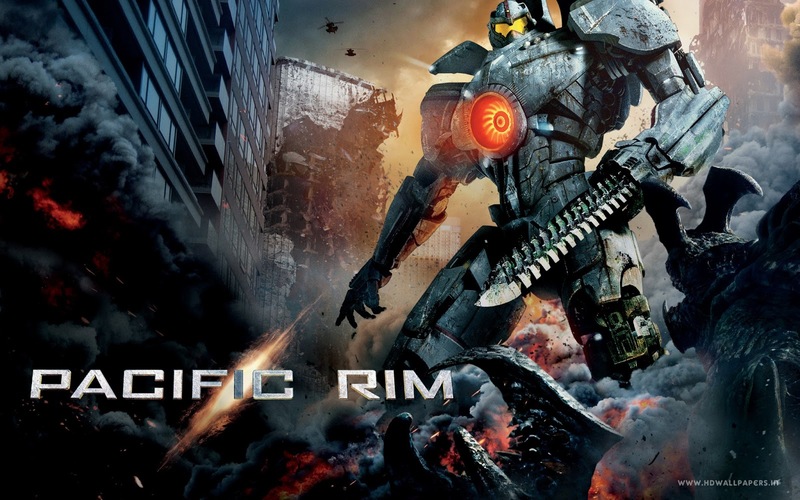 Can't wait to see Pacific Rim now. But I'll remember to let my imagination wander. Very funny comments! 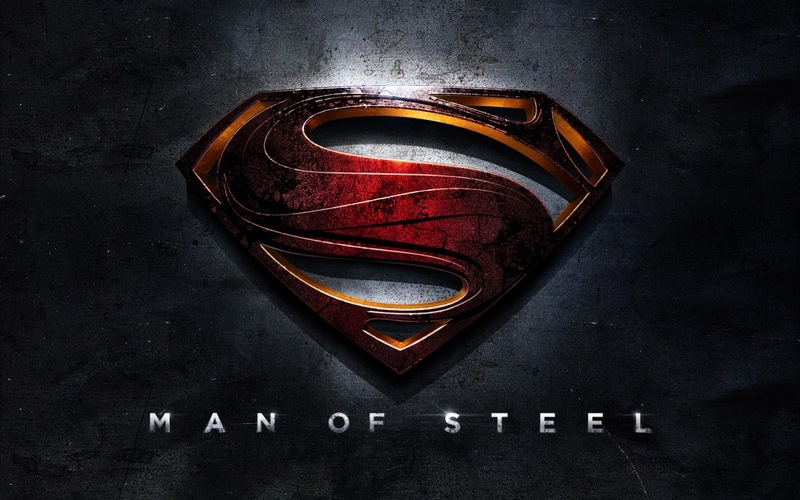 I haven't seen any of these films yet but I definitely want to see Man of Steel. Great post! I just watched Pacific Rim yesterday and thought it was awesome!!! All the fighting and special effects were amazing! Ive been waiting to watch Pacific Rim!!! ah he's funny, I think I can guess what his favourite movie genre is ;) and I've been meaning to watch Superman! I've heard soo many raves about it already! this is so awesome, i love reading the whole part about Henry being "so nuclear hot" - made me smile big for sure. Aaron, you've got a knack for reviewing and such a witty way with words - bravo from a huge fellow supporter of Man of Steel. your lovely one & i had a previous discussion about it's powerful and meaningful ways too. You liked superman? It was so hard for me to embrace! Henry Cavil was the correct cast choice, but the fact that Louis Lane already knows his identity, he actually kills someone, etc. was really hard for me to take! Stacie fell asleep in that movie! I hear the next superman movie will involve batman? Pacific rim was alright, reminded me of an adult version of mighty morphin power rangers! Don't think there's any movie coming up soon that I am excited to see....oh yeah Elysium! Let's go see it together!